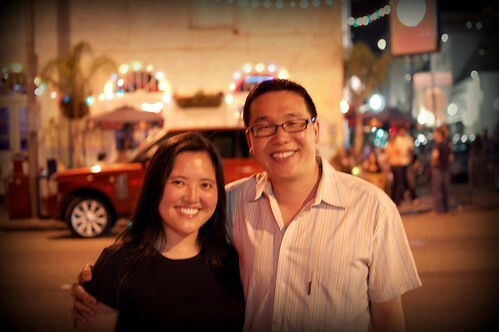 My good friend Doppelganger is originally from Baton Rouge but is now a law professor in Florida. 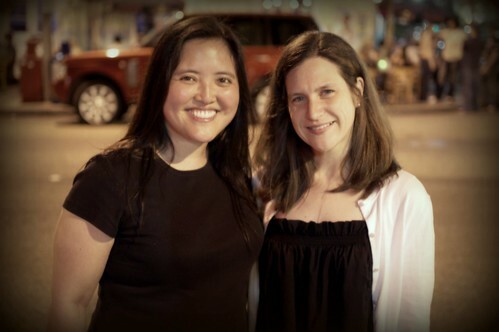 When she told me she'd be in town visiting family the same time we'd be in New Orleans, I was overjoyed! 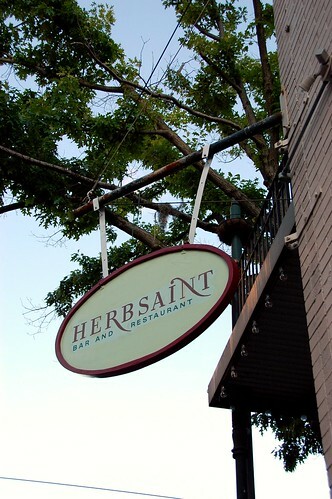 She and her husband made a special trip to the city to meet us for dinner at Herbsaint. 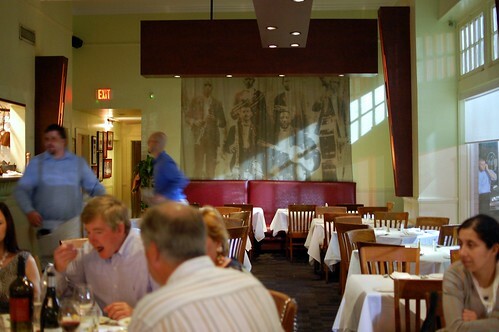 Chef Donald Link won the 2007 James Beard Award for Best Chef in the South. We were excited to try his French-inspired and Southern-influenced cuisine. Having just ridden one that passes Herbsaint, I started with a streetcar ($8.50). Hey, it's the South. 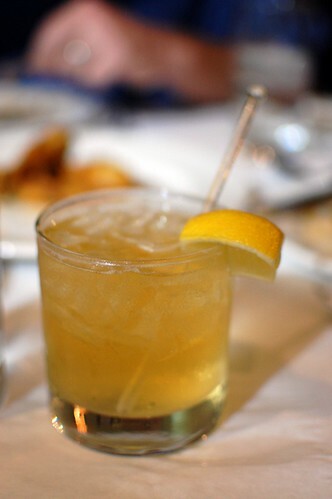 I gotta drink the bourbon. We ordered a couple of small plates to share. 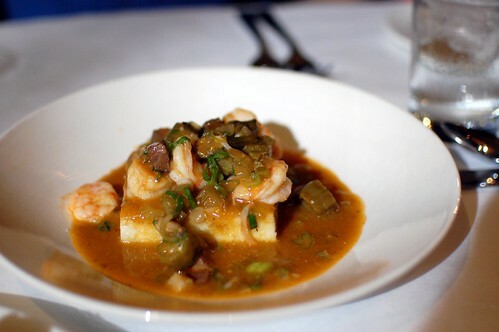 Louisiana shrimp and grits with tasso and okra ($11). Quite the exquisite way to enjoy a traditional dish. Nice flavors and textures. 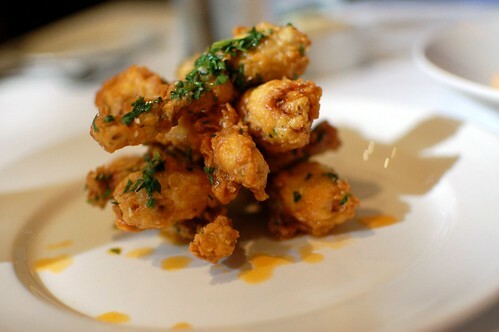 Fried frog legs and fine herbs ($11). So. Damn. Good. If you ever visit, you must order these. Crunch crunch yum. 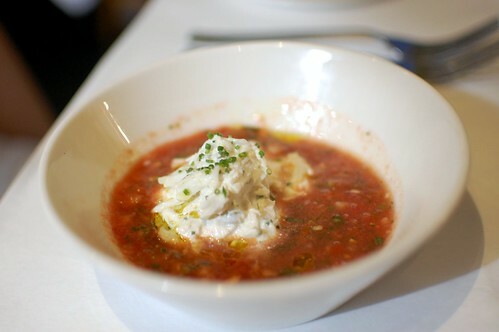 Mr. Monkey started with watermelon and tomato gazpacho with Louisiana blue crabmeat ($12). Cold and refreshing and perfect to combat the New Orleans heat and humidity. The sweetness of the watermelon paired well with with the ample spices, and the chunks of crab were generous and fresh. 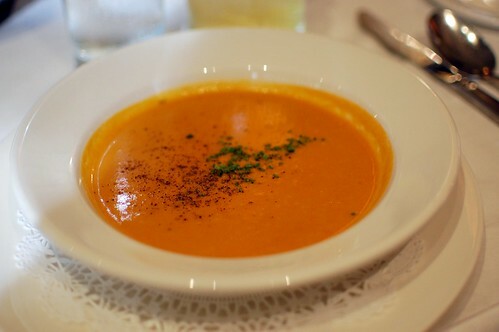 I had the tomato and shrimp bisque ($7). Creamy and generally tasty but undeserving of major raves. 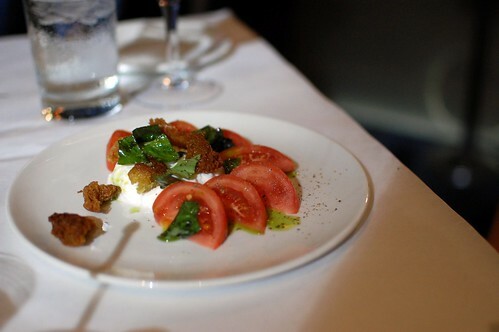 Here's Doppelganger's tomato and burrata salad with fried basil and fried breadcrumbs ($9). Just pretend the shadow of my streetcar's stirrer isn't there. 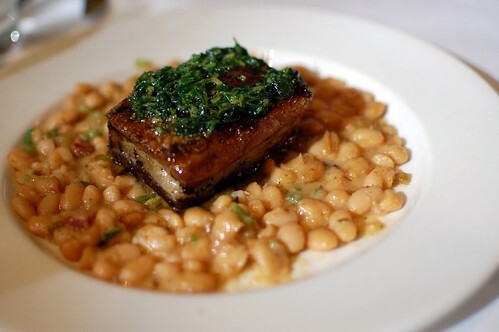 For his main course, Mr. Doppelganger opted for the seared Kurobuta pork belly with white bean pistou ($26). The bite I had was rich and fatty, as it should be. But, as I always say, I still haven't found a pork belly as mind-blowing as the one I had at Animal. O, Animal! You have ruined me forever! 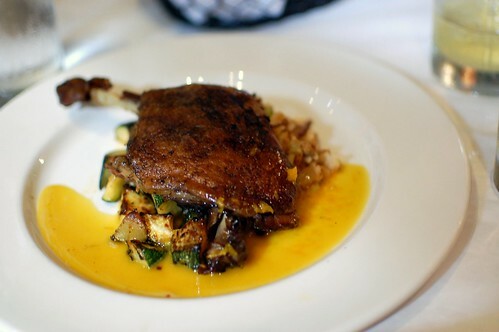 I opted for the Muscovy duck confit with dirty rice and citrus gastrique ($27). Tender and luscious and blanketed by a nice crisp skin. Really savored this. 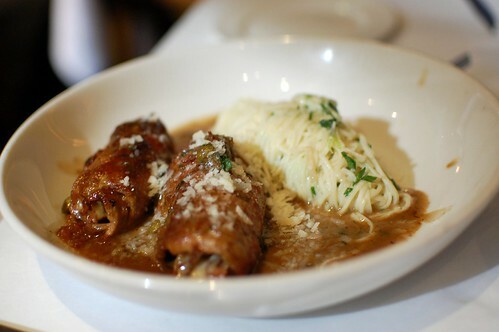 Mr. Monkey and Doppelganger both chose the winning dish of the night -- veal stuffed with housecured ham and fontina over fresh capellini ($28). I was delighted when Mr. Monkey and I did our Famous Monkey Halfway Switch. While my duck was great, this stuffed veal was Great with a capital G. Each meaty bite burst with salty cheesy love. The pasta was a super garlicky party of bouncy fun. A true triumph. Then it was sweets time. 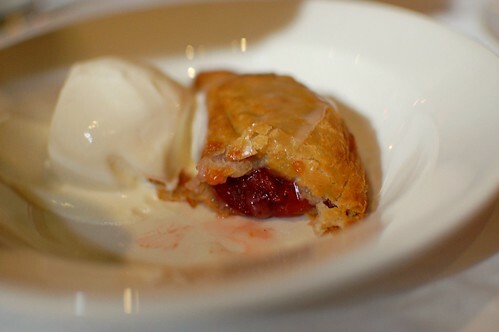 Ponchatoula strawberry fried pie with creole cream cheese ice cream ($8). Doppelganger remarked that this reminded her of "gas station pies." I don't know what a gas station pie is, but I liken this dessert to an amazing homemade version of a Hostess Fruit Pie...only hot, fresh, and made with real natural ingredients instead of red dye #40. 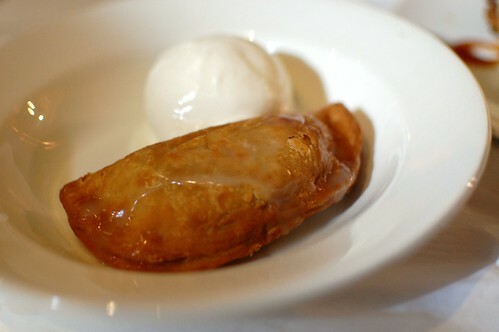 Paired with the very cream cheesy ice cream, this bordered on being divine. Yummy. Coconut cream pie with macadamia nut crust ($8). Everyone at the table enjoyed this, even yours truly. 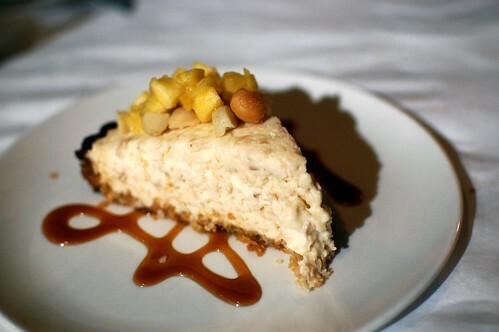 The macadamia nut crust was rather interesting and complemented the coconut cream well. 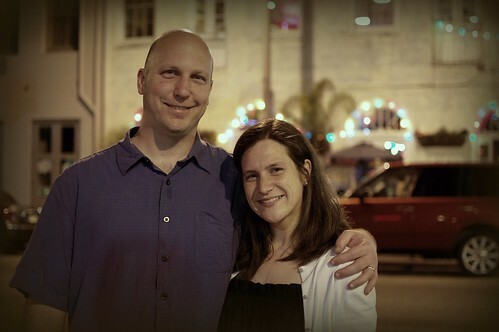 We ended the night with a photo session outside our hotel. It had been years since we last saw each other. This is what happens when your besties live on the other side of the country. Doppelganger looks the same. I am rounder. And sweatier. I miss you already! Again! Thank you both for having dinner with us! It was so wonderful to see you guys! 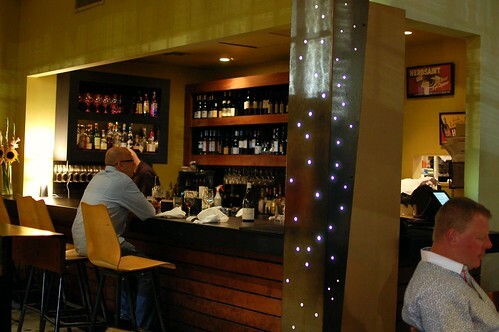 Next: Food by a celebrity chef and more sights around the Quarter. The gazpacho looks perfect for a hot day. I am drooling. Literally. I need to live in the south. Bourbon, pork bellies, okra. How was the okra? I have a hard time finding non-mushy okra. Now, that's some good eating! I love how cheap fancy restos down south are. Is there a market for fancy southern in L.A.? I think so! STFU, you are not "rounder." how does one fry breadcrumbs anyway? this has me scratching my head. 1. that crab meat looks so good. 2. but your streetcar's stirrer is pointing at the best part of the dish--the burrata! 3. gas station pie = hostess fruit pie. at least that's the only place i've ever had one from. 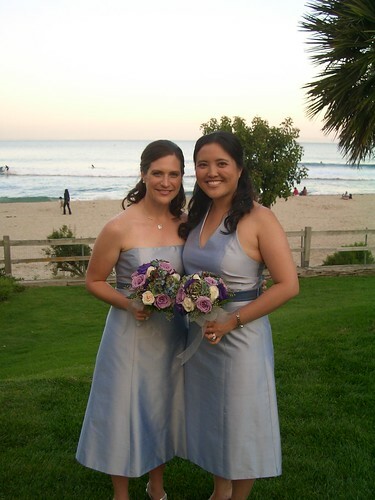 4. i love how your necklines are swapped in the bridesmaid photos. amazing photos, looks like a great place to try out. I am always rounder and sweatier than whoever I meet up with too. Cheers. Oh nice! New Orleans seems wonderful. And those photos are amazing! :) Thanks for the post. i seriously drooled all over myself. and then laughed at our very opposite experiences with "hostess cream pies" over the last few days. delicious and yay! glad to hear she is doing well. 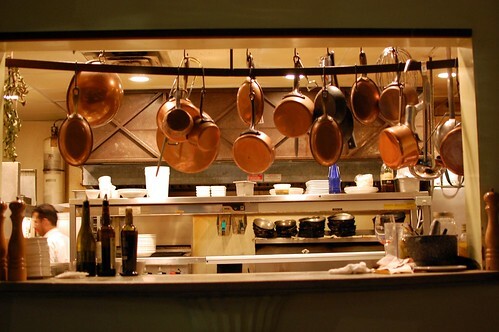 All of these dishes sound divine. 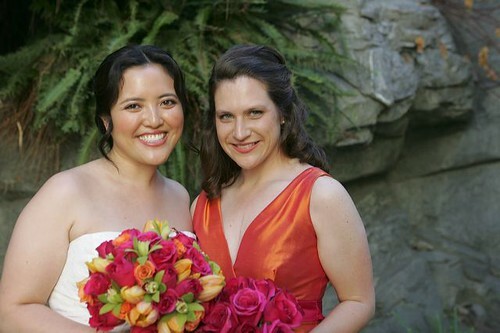 Vino's sister made homemade watermelon gazpacho for her bridal shower and OMG - it was delish! I am drooling at the thought of cream cheese ice cream (not that I wasn't already with the pork belly and everything else)! I missed this. Great food and good old friends is a fab combo.